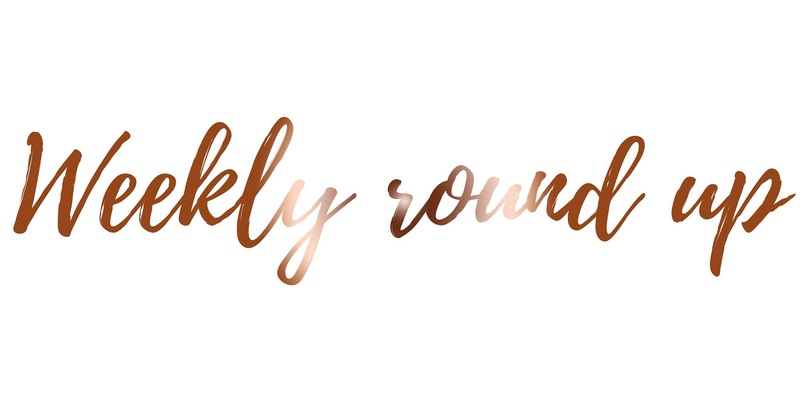 It's that time again for another weekly round up, hooray! I hope you're all having a lovely Sunday, let me know what you're getting up to on this beautiful sunny day. If you didn't know, this week I went to the Harry Potter Studio Tour as my Valentines Day present. I know, three months late; but we wanted to go when Luke was on his week off so we had no choice but to wait, but it was definitely worth waiting for. I have one post live about the Harry Potter Studio Tour however in the next week I'll be posting a couple more posts with a lot more pictures for you guys to see. This week I also went back back to work after having last week off due to sickness and I cannot explain how happy I am to be working in a different role at the School. Beforehand I was so unhappy and absolutely dreaded going into work, but now I'm actually making a difference and it's not making me completely miserable either. Something I realised this week is how I'm not going to let blogging get to me. One of my goals was to blog every single day throughout 2017 and so far I think I have missed 4/5 days in total. The first three days was because I had ridiculously bad bloggers block and then last week I missed a couple of days purely because I did not have the time to write up a blog post and tiredness really took it's toll on me. However sometimes life does get in the way; whether it's something serious or even something which isn't and I shouldn't let that bring me down so much. So from this moment on I'm going to still blog every day, but if I miss a day then that's completely okay; because I'm still doing something that I absolutely love and I know you don't mind either. I'm spending my Sunday catching up on replying to comments, taking pictures for my instagram accounts and my blog and just generally relaxing because so far this week, I haven't been able to! I hope you all have a lovely day and let me know what you're getting up too!